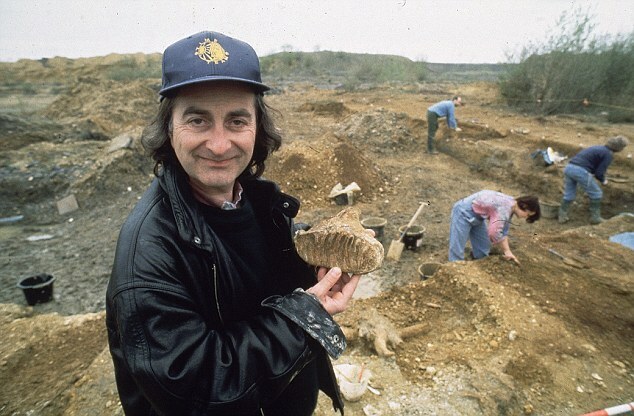 Time Team star Sir Tony Robinson has told of his devastation following his parents dementia battle. The 69-year-old labelled Alzheimer’s ‘one of the last great medical terrors’ as he described his mother’s seven-year dementia battle. He also revealed how his father Leslie ‘gradually lost’ his excitement and concentration before he died in 1989 aged 76. Sir Tony Robinson, who is an ambassador for the Alzheimer’s Society, told the Daily Express: ‘My father was a bright man but over a number of years he grew anxious. The actor and author, who played Baldrick in Blackadder, said while his father became increasingly confused for around three years, his mother Phyllis’ change was ‘very quick’. She died in 2005 aged 89. Sir Tony Robinson made the comments about his parents dementia battle as revealed he would make a donation to the Society in his will in a bid to honour their memory. It comes after scientists revealed more than 100 million people across the globe will be battling Alzheimer’s, which is a progressive disease, by 2050. The number of adults living with the disease has soared from around 26 million 10 years ago to more than 36 million, according to the National Institutes of Health. There are thought to be around 850,000 people living with dementia in the UK but only 44 per cent receive a diagnosis. Jeremy Hughes, Chief Executive of Alzheimer’s Society, said: ‘It is extremely generous of Tony to have pledged to leave a donation in his will to help fund our much needed research into dementia. If you are concerned about a loved one facing their own dementia battle, please talk to us at our care home Worcester. We would be honoured to help and support you at this difficult time. You might also like to read our blog about dementia support. The post Parents Dementia battle causes anguish for Sir Tony Robinson appeared first on Nursing Home Worcester | Stanfield Nursing Home.